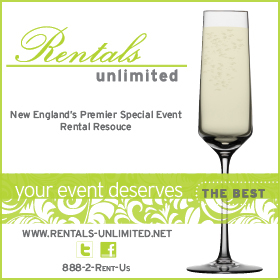 Rentals Unlimited is New England’s premiere special event rental company. Make your event memorable by hand-selecting your rental items from an extensive inventory of linens, chairs, furniture, place settings, dance floors, and more. Your event deserves the best! Address: 172 Bellevue Avenue, Suite 307, Newport, RI 02840.